Broadcasters have broadly approved proposals that would see a number of Freeview channels moving to new positions later this year. News, children's, text, streamed and adult channels are earmarked to move to positions further down the channel list to create more space for general entertainment and shopping channels. But a major provider of adult channels on Freeview called the proposals "arbitrary and capricious". 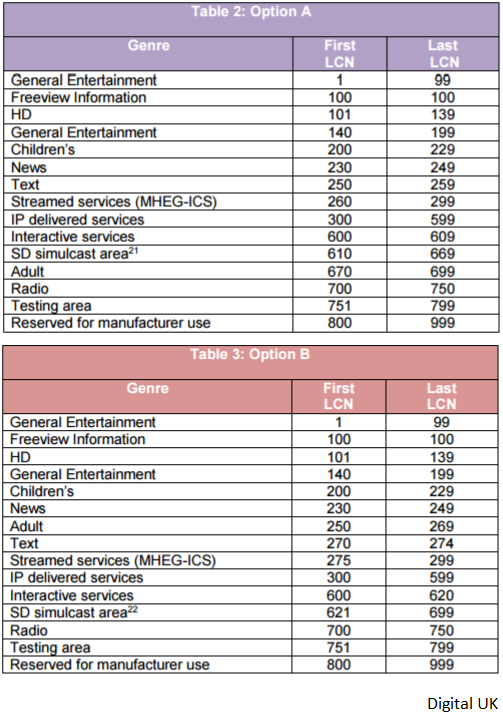 Digital UK, the organisation responsible for allocating Freeview channel numbers, put its proposals out to consultation in the autumn. Now responses to the consultation have been made public, confirming an appetite among most broadcasters to make the changes. Following a boom in the number of children's channels offered in some parts of the UK on Freeview in the past 18 months, children's channels have been split between 95-99 and 120-129. It's planned to move all children's channels together, to broadcast on channels 200-229. News channels would be allocated numbers between channel 230 and 249. 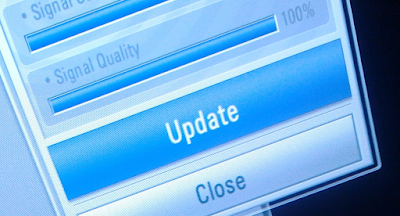 Streamed channels, that can be accessed using compatible connected Freeview devices would have a reduced channel range. Two options were considered for the future of text, streamed and adult channels. Most respondents to the consultation expressed their consent to have the adult channels move to channels 670-699, although it was noted that this would mean adult channels would sit next to BBC Radio 1 and BBC Radio 1Xtra in the channel list, but would move these channels further away from children's channels, thus improving consumer protection. The BBC confirmed it wanted to "explore with Digital UK the possibility of re-using of the Adult bookend slate for several instances at the back of the Adult Genre to thus reduce the likelihood of a listener to Radio 1 or 1Xtra scrolling back down the EPG into the start of Adult services proper." Meanwhile, Cellcast, operators of adult themed services on Freeview slammed the plans to demote the adult channels calling the proposals "arbitrary, capricious, benefits your joint venture members, is not at all FRND [Fair, Reasonable, Non-Discriminatory] and appears to unduly prejudice the Adult channels, just as we have been prejudiced in previous consultations." Text service operator Boxbeat Media confirmed they had advanced plans to launch additional text based services on Freeview and wanted to ensure sufficient channel numbers were available for the new services to join the likes of 365 Travel and Kiss Me TV. Synapse TV's David Cutts argued for the abolition of the streamed channel category noting the boundaries between online and broadcast delivery of content is becoming increasingly meaningless. He confirmed plans for a sports and a bollywood HD streamed service. The BBC and Channel 4 have indicated their interest in the creation of a shopping channel genre, with the BBC pointing to the likelihood of online and broadcast services merging into a single EPG in the future. Currently Freeview viewers will find online delivered services in separate areas of the channel list and shopping channels are integrated with entertainment channels. Additional proposals designed to liberalise rules on changes of channel ownership and how to fill empty channel slots were also discussed. Digital UK is expected to make an announcement outlining its position and plans for channel changes soon.